If anybody has previously used any form of public transport in Paris, I'm sure you realise that it can be a living nightmare. Ligne 13 happens to be Satan's rolling lounge at the best of times, a carrousel of lost baggage at the worst. 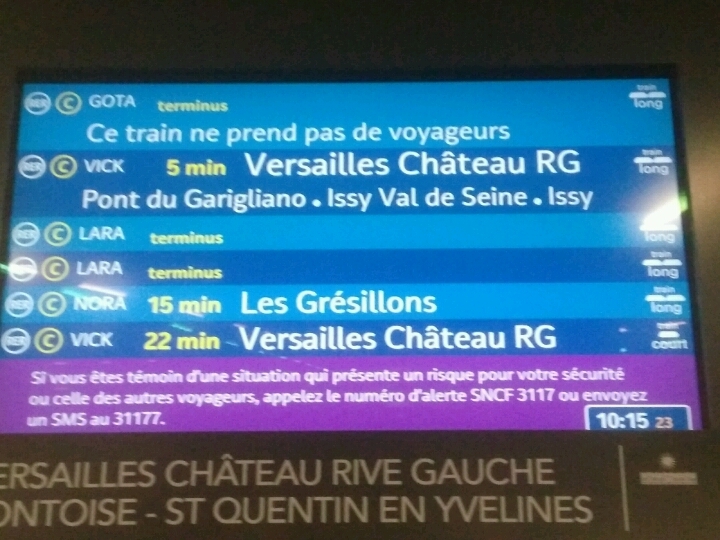 This week has been pretty bad for both the RER and 13. Luckily for me two of those days both were out at the same time. The other two, well, they took turns. I can't say that I'm glad to see this week over, but quite frankly it's best it's gone. Forever.